Limit 1 per person and 1 per transaction. Valid on a 30-minute tarot reading. Redeemable in person, by phone or by email. By appointment only. New customers only. Promotional value expires 365 days after purchase. 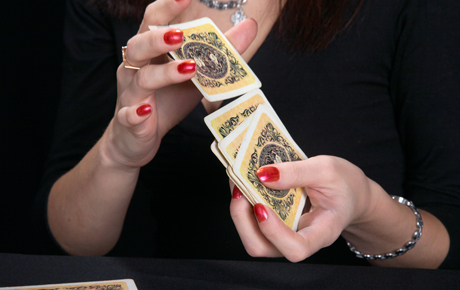 Delve into divination when you use this deal for 50% off a tarot card reading from Readings by Savannah ($65 value). This 30-minute reading is available at their studio in Milwaukee or by phone or email. Betty is the daughter of two experienced psychics and has been in business for more than 12 years. She is able to connect with the psychic center in people, allowing her to see, hear and feel things that most other people miss. Savannah devotes herself completely to each client, making each reading insightful, informative and fun. Explore your spiritual side with this divine deal.